Linares, age, 33, was TKO’d in round ten versus Loma, but drew props for giving a more than solid account of himself against the technical wizard from the Ukraine. He rebounded with a win over Abner Cotto, and on Friday, engaged with Pablo Cesar Cano of Mexico in a WBC junior belt outing at 140 pounds. 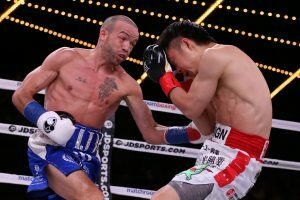 The post Pablo Cesar Cano blows away Jorge Linares in 1; TJ Doheny retains title at MSG appeared first on The Ring.